largest colony on Dyer Island. Because of their donkey-like braying call they were previously named Jackass Penguins. The presence of the penguin gave name to the Penguin Islands. 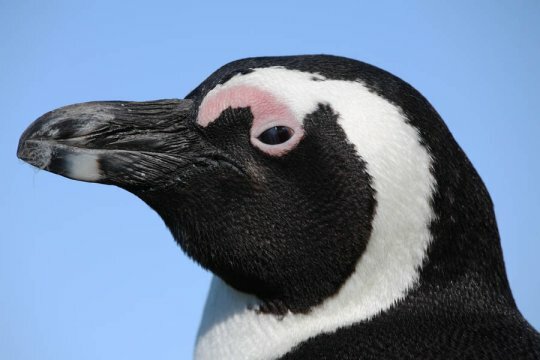 African penguins grow to 6870 cm (26.727.5 in) tall and weigh between 2 and 5 kg (4.4 and 11 lb). The males are larger than the females and have larger beaks. Their distinctive black and white colouring is a vital form of camouflagewhite for underwater predators looking upwards and black for predators looking down onto the dark water. 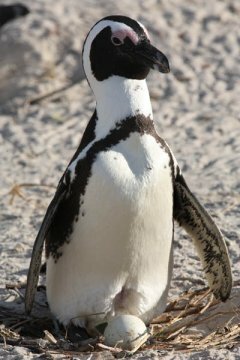 .Of the 1.5-million African Penguin population estimated in 1910, only some 10% remained at the end of the 20th-century. 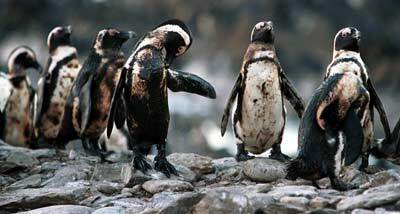 MV Treasure oil spill off Cape Town, South Africa in 2000. 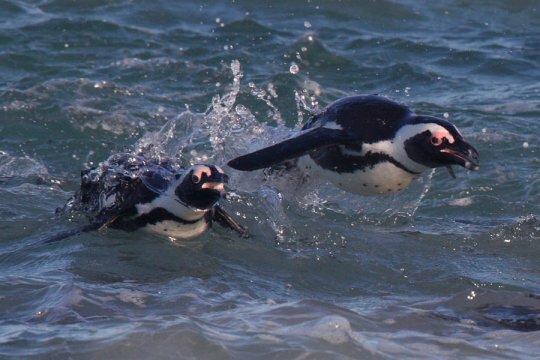 South Africa, oiling 19,000 adult penguins at the height of the best breeding season on record for this vulnerable species. The oiled birds were brought to an abandoned train repair warehouse in Cape Town to be cared for. 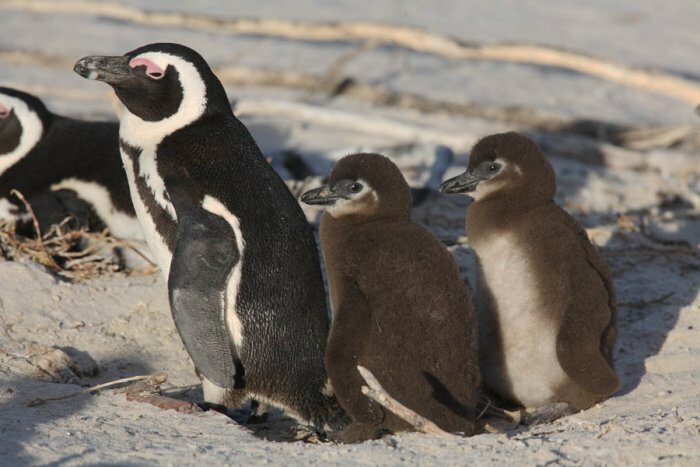 genet, domestic cats and dogs - and the kelp gulls which steal their eggs and new born chicks.